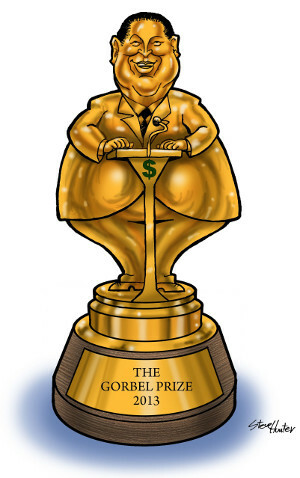 The Carbon Sense Coalition has created “The Gorbel Prize for Green Policies that have Inconvenient Outcomes”. The Chairman of Carbon Sense, Mr Viv Forbes, said that so many green policies that appear to have useful environmental goals fail to analyse properly the long-term unforeseen consequences. Nowhere is this more apparent than in the world of green politics, where laws designed to help the environment are harming the environment. To publicise this stupidity, the Carbon Sense Coalition has created “The Gorbel Prize for Green Policies that have Inconvenient Outcomes”. The winner of the Inaugural Gorbel Prize is the UK government whose green policies aim to make it uneconomic to burn coal. So the tax-payer funded Green Investment Bank has loaned £100 million to help convert the huge Drax coal-burning power station in Yorkshire to burning “sustainable biomass”. This is part of a huge finance package of one billion pounds to get the biomass green tick, earn renewable energy subsidies, and avoid the need to buy carbon credits. Where do they plan to get the “sustainable biomass”? Each year 7.5 million tonnes of wood chips will be imported from North American forests to replace 4.5 Mt of coal. The land required to produce wood at this rate is immense – about three million acres of forest per year. Also, wood is less dense than coal with less energy per tonne and a greater volume per tonne. Thus a greater tonnage and a far greater volume of wood have to be handled to get the same energy. This huge volume of wood has to be harvested, hauled, chipped, dried, trucked, shipped and stored using more carbon fuels – all to produce more expensive electricity. There is one real benefit from the scheme. When the whole process is considered, using wood will put more carbon dioxide back into the atmosphere than using coal. This will make the forests grow faster. 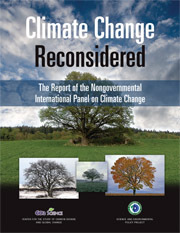 The same goofy green policies that have pushed Drax into burning forests also apply in Australia. Maybe wood chips from our carbon credit forests will soon fuel Yallourn or Hazelwood power stations? Such green stupidity will take us back to the BC era (before coal) when forests and hillsides were stripped bare of trees to fuel stoves, heaters, boilers, charcoal makers and smelters. We would all be better off if Drax burned coal, produced cheap electricity, saved those forests and, to satisfy green dogma, planted a token forest of new trees. Nominations are invited for future recipients of the Gorbel Prize. Keywords: Gorbel Prize, Drax burning wood for electricity, costs of green energy, announcing climate disasters, gas giants gazump greens, electricity costs, heat wave alarms, energy blessings, Christopher Monckton.